Sri Lankan education minister Akila Viraj Kariyawasam and Indian High Commissioner Taranjit Singh Sandhu gave the scholarships at a special ceremony held in Colombo on Wednesday. This is the twelfth year in continuum that India has provided Mahatma Gandhi scholarships to bright students across Sri Lanka. The minister appreciated the assistance provided by India including for the new trilingual school in Polonnaruwa and Saraswathy College in Kandy. He also thanked India for providing training to teachers in Sri Lanka. High commissioner of India said that it was special occasion where 150 Sri Lankan students were awarded the Mahatma Gandhi scholarships while the world is celebrating the 150th Birth Anniversary of Mahatma Gandhi. 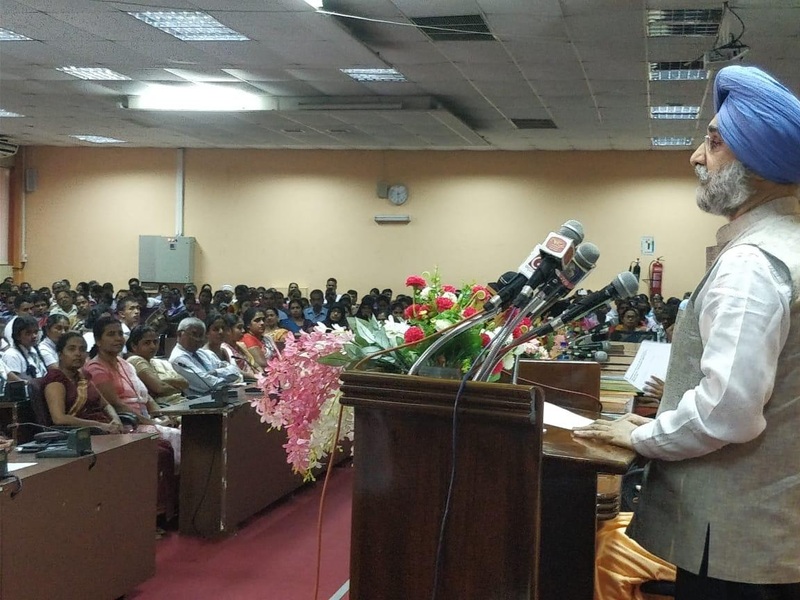 He urged the students in Sri Lanka to connect with the youth of India and told them to take advantage of scientific and educational developments in India. The high commissioner noted that India has recently launched a new Portal titled “Study in India” and more than 25000 seats are earmarked in Indian Institutions for foreign students. He expressed hope that Sri Lankan youth would make full use of the opportunities in India.